What will Limit Government on Tomorrow’s Trans-Border Digital Earth? What’s the role of national laws and governments on tomorrow’s trans-border Digital Earth? The Internet began as a U.S. government project. Then it took on a life of its own. Now we’re becoming a Digital Earth. Is there a role for government in tomorrow’s fully digital, trans-border world? Government has a core problem, a core issue. That issue is that government is based upon geography and physical boundaries. 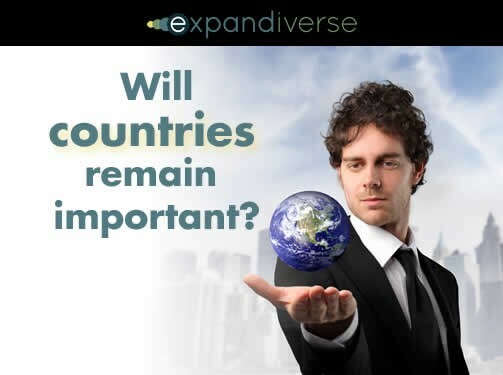 Countries with governments, laws, and programs are going to remain extremely important. You have to have physical countries, boundaries and protection. A good example is Israel. If the people of Israel did not have a government, they would be dead. The same goes for every country, and it includes Americans at home and abroad. There are people who love the idea of ending America or killing its people. What happens to freedom around the world as a result? It’s a huge impact on the future of the world if there is no country carrying the flag, literally, for freedom, for democracy, for people, for their rights. Countries will remain important, but at the same time, as you and I and everybody becomes a global, digital person, we become trans-border. As we move into a trans-border Digital Earth, we will soon add digital reality next to physical reality. Fundamentally, digital reality is similar but it’s also different. Government is going to want to have the role of being able to define and shape digital reality. Who will control tomorrow’s digital world? What happens in a digital world where there are still countries that fear free speech, that fear the power of individuals? How do we navigate through that? The question of governments that want unlimited control — like China with speech and thought and what people are able to do — is part of the Expandiverse. It can go several directions. The most basic direction is, if I can shape my own reality, my own Shared Spaces, I not only can keep certain things in, I can keep other things out. In each of my Shared Spaces I control whether it is public, private or secret. I control its boundaries — what I let in and what’s blocked and kept out. I control which continuous connections it includes — which people, services, places, tools, resources and entertainment are always on and displayed on the screens that I see and use. It will be normal to have different Shared Spaces for family, work, projects, friends or anything I want. There are lots of ways to enjoy life and I can have similar or different kinds of interests and boundaries for each of my Shared Spaces. My “world” for each of them will be different, and what I decide. The Expandiverse also includes multiple identities, because medical science hasn’t defeated death yet. The Expandiverse defeats death by adding multiple digital lives, in parallel, within our one lifetime. I will control who I am, so I can explore different ways to develop my skills and potentials. In the future some of my new digital controls will be whether I want to live one or more lives, which Shared Spaces I choose to be in, my boundaries for what’s included (and excluded) in each Shared Space, and how often I flip between my different identities and Spaces. I will be the one who decides my digital life — actually, my digital lives. Digital reality will grow larger, and increasingly more powerful, than physical reality. How is government going to apply its rules and laws to me when it doesn’t even know which reality I’m in? By the time government actually figures that out, by then I’ve switched to a different Shared Space. Maybe to a different privacy level. Perhaps even a different identity. It’s that fast. It’s likely I’ll make multiple changes as often as I want, throughout each day. Each of my “digital realities” — my Shared Spaces — will have its own set of boundaries and “rules” — as I define them. I’ll choose what I want in each of my Shared Spaces. Digital reality will be “you-centered.” It will fit me, and follow my choices, not the other way around. 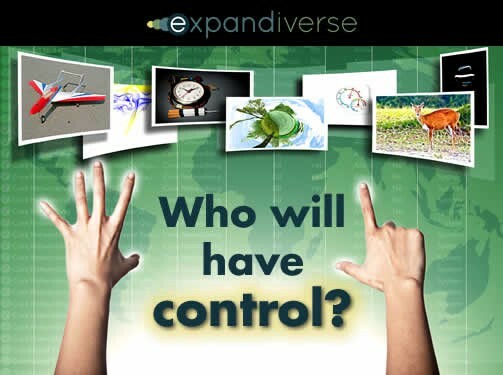 That means control, in the Expandiverse, gives every person more control over reality than governments. Once people have control, governments will still have certain kinds of control. But our digital future will also include other kinds of control that are person-based, not just government-based.